24 lb. Water Fast Color Bond - City SlickerTopaz 24 lb premium coated inkjet bond paper combines water-resistant inkjet coating along with high quality base paper to produce a strong, smooth printing surface ideally suited for many types of high volume CAD and graphic applications. 28 lb. Coated Inkjet Bond - Smooth TalkerTopaz 28 lb premium coated inkjet bond paper offers the same advanced coating technology as our 24 lb inkjet bond. The combination of water-resistant inkjet coating along with high quality base paper produces a strong, smooth printing surface. 36 lb. Premium Coated Bond, Water FastTopaz 36 lb premium coated inkjet bond paper offers the same advanced coatingtechnology as our 24 lb and 28 lb inkjet bond. The combination of water-resistant inkjet coating along with high quality base paper produces a strong, smooth printing surface. 46 lb. Premium Coated Bond, Water FastA 46 LB. 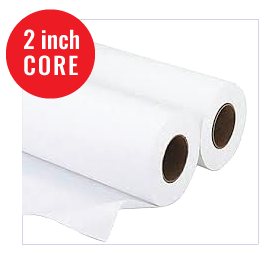 PREMIUM COATED BOND PAPER designed for high volume wide format and large format CAD and Graphics print and plotter applications. Superior coating optimized for HP, Epson, and Encad- type printers using dye and pigment ink.Pricing listed below is per roll.